I wanted to provide an update on Editor’s Choice Hubs. We started the program to recognize great Hubs. Over the last nine months we have selected almost 20,000 EC Hubs and a handful are getting added every day. We’ve had lots of great comments that Hubbers love the recognition, but the data hounds in the community say: that’s great, but do they get more traffic? When a EC Hub is selected it gets moved from the author’s subdomain to the main HubPages.com domain. When an older Hub is moved it can be a bit of a wild ride. Sometimes Hubs jump way up and other times they come down. Overall, they’re slightly up (~2%). Over the last few months, I’ve had the opportunity to see several sites (outside of HubPages) that have done major movements like this and in some cases it has taken two years for a significant traffic shift after creating clusters of high quality content. So, I think there is still a chance that we will see a major traffic move, and it appears that there is some slight traffic benefit in the short term on average. I hope Hubbers stay with the program and hang in there with us for the long haul. We are working on several improvements to the site. I’m very optimistic about the future of HubPages. Stay tuned Hubbers. Hey Hubbers! Universal Analytics (UA) is the latest version of the Google Analytics platform. Many Hubbers use Google Analytics to track and analyze traffic trends to their Hubs and personal websites, and if you’re one of them, listen up! 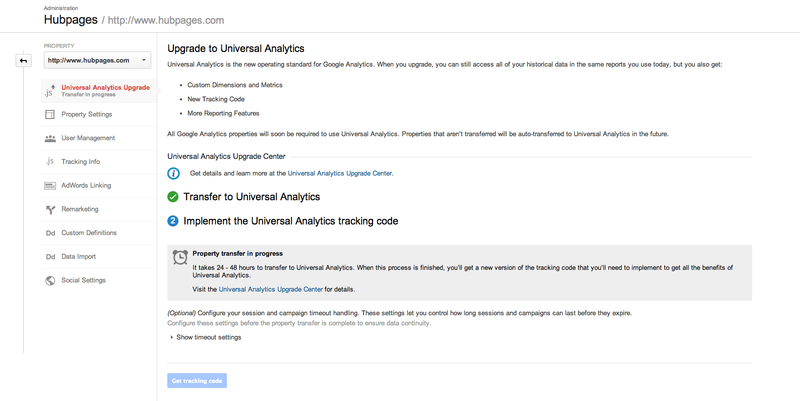 You can read all about Universal Analytics here, but here’s the gist: UA introduces a new set of features that change the way data is collected and organized in your Google Analytics account. 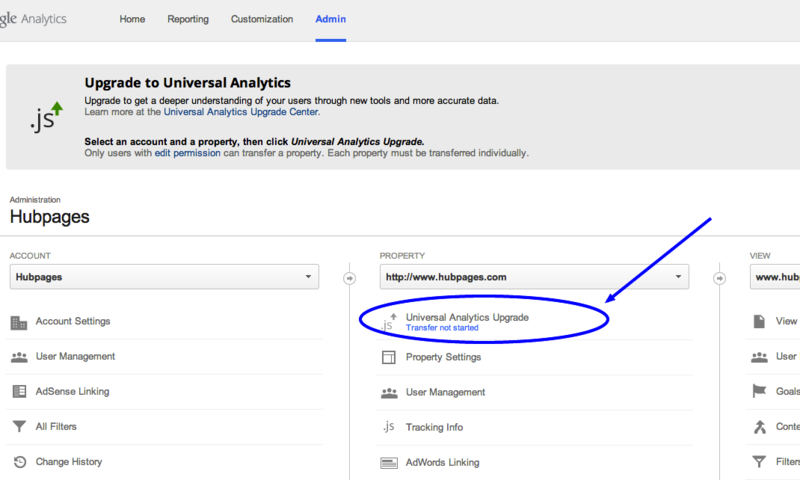 Upgrading is a good option if you already use Google Analytics to collect data from your Hubs and want to combine your historical data with any new data you collect via Universal Analytics in the same reports. One important thing to note is that transferring happens at the property level, not at the account level. UA is the default for newly created properties, but old properties will need to be upgraded individually. Because the upgrade process requires Google Analytics users to transfer in their respective accounts, Hubbers will need to complete Step 1 below. If you aren’t sure about whether your HubPages subdomain property is using classic Google Analytics or Universal Analytics, you can check here (click on the arrow to the left of “In your account”). Account holders transfer existing web properties to Universal Analytics. This is done in the Google Analytics admin interface. Please note: the transfer takes minutes to initiate, but you should allow 24-48 hours for it to complete. Developers implement the new UA tracking code on their sites. You can skip this step since HubPages will take care of implementing the code. Select the HubPages property (it will likely be ‘subdomain.hubpages.com’ in your account) from the drop-down menu, and click on Universal Analytics Upgrade. If your account is not set to use UA, you should see a blue Transfer button. Click on it to begin the transfer. If you don’t see a blue Transfer button here, that means your property is already upgraded into UA and all you need to do is visit My Account > Earnings > Settings > Analytics to confirm. A ‘Transfer in Progress’ status message will appear. That message will change to ‘Transfer Complete’ within 48 hours. We have already completed the upgrade process for our master account. However, because many Hubbers use the older version of Google Analytics, we are running both the old and new tracking codes on many pages across the site. 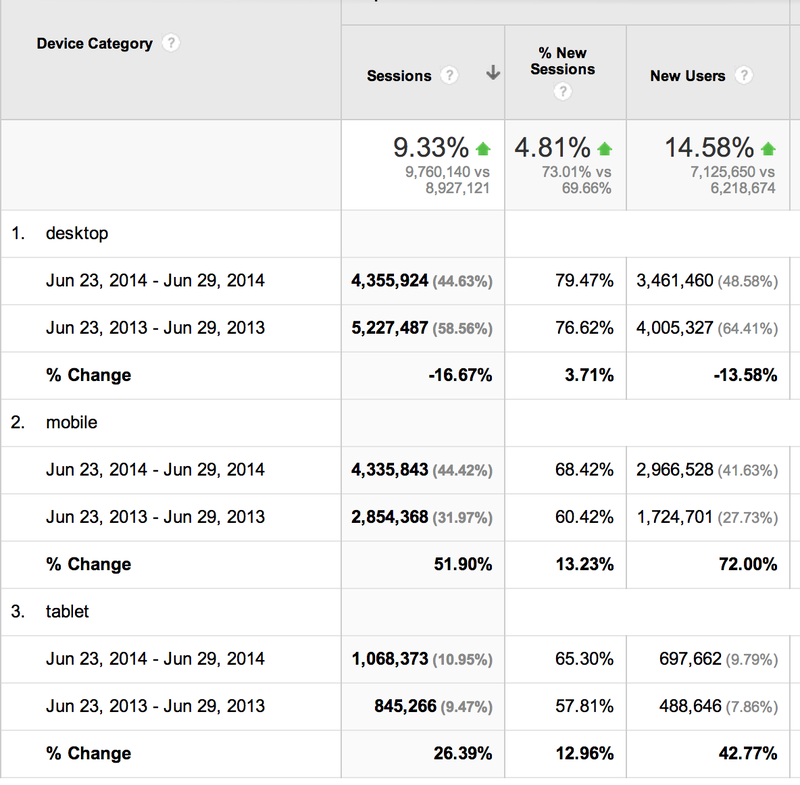 On August 20, 2014, we plan to remove the classic Google Analytics code from the site. When you’ve completed the steps above, please confirm in My Account > Earnings > Settings > Analytics. 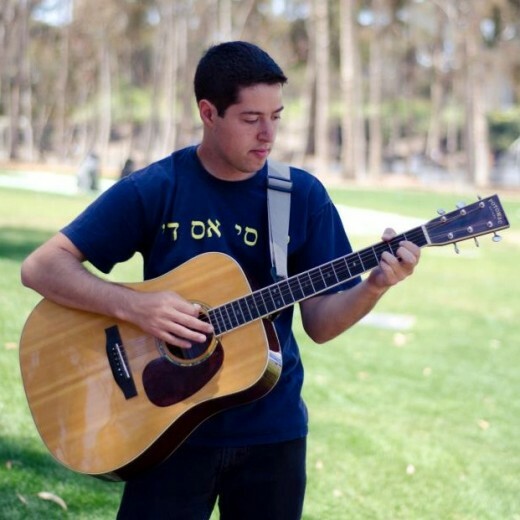 If you have any questions, drop by the forums! HubPages is very pleased to congratulate Hubber Angela Nilles (hazelbrown), who was recently interviewed on HuffPost Live. Angela was approached by the folks at The Huffington Post to appear live on a panel discussing Summer Seasonal Affective Disorder ( Summer SAD) after they read her Hub, I Hate Summer: Depression, Irritability, and Summer Seasonal Affective Disorder (SAD). When she wrote the Hub two years ago, Angela had no idea it would eventually earn her a place on a live broadcast from major news organization. She hopes that her experience may inspire other Hubbers to keep writing. You never know when or how your Hubs may pay off or what amazing opportunities they may open up for you!